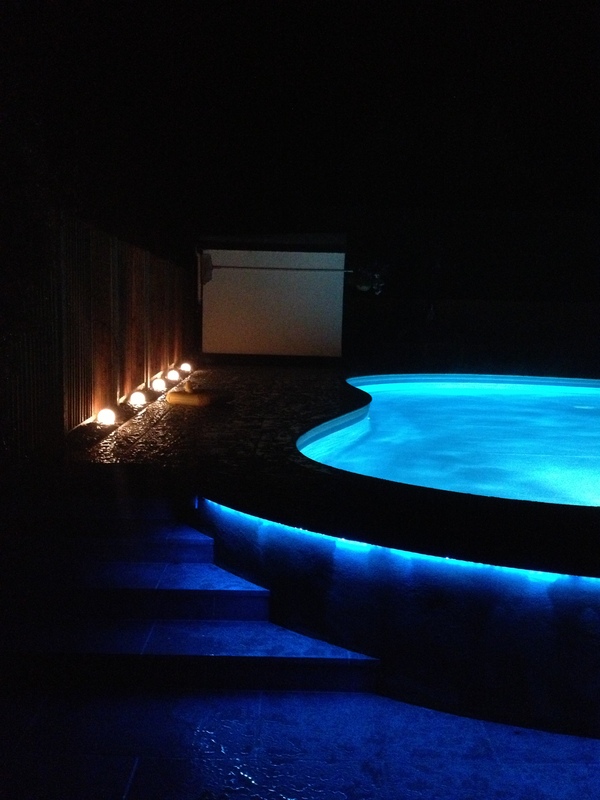 Brief: To design and illuminate a new garden. Service: Design, supply and installation. 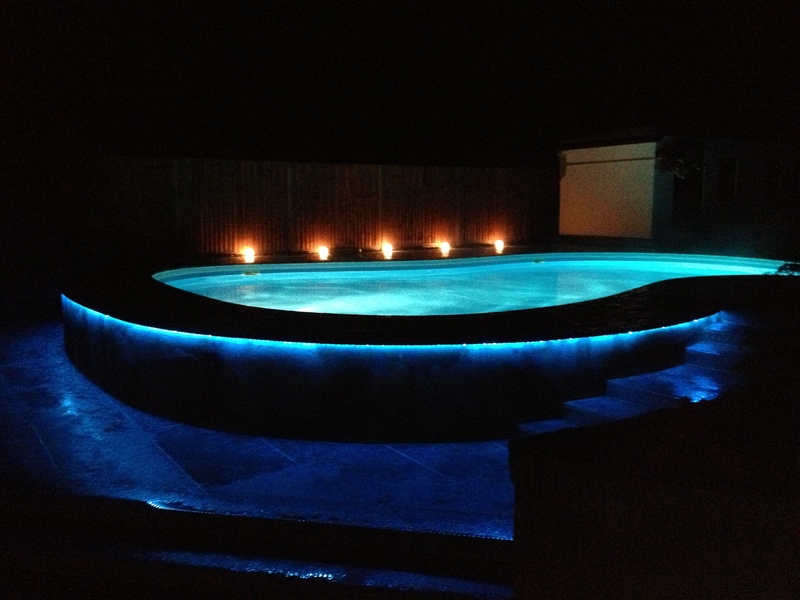 Designers comment: Illuminating the edge of the pool had to be achieved and did raise its challenges. Total length 15M and worked very well. There are many combinations of colours to suit all party and entertainment environments. Product: Epistar Linear RGBW LED with wireless remote, recessed LED wall lights and spike mounted SLIDE globes. Wireless on and off remote for all garden lighting.